This new state-of-the-art Throttle Blipper/DownShifter system is designed to compliment Translogics Intellishift and Powershift systems. 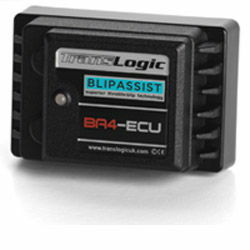 The Blip Assist ECU interfaces with the engines throttle body connectors via the plug & play connectors. During down-shifts either Translogics DCS sensor or Powershifter sends a signal to the Blip Assist ECU which then performs a controlled throttle blip depending on riding conditions at the time of the down shift. The Blip Assist ECU requires either an Intellishift Quickshifter or Powershifter system to operate, i.e., it cannot operate without these components. 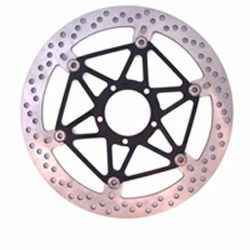 Once installed under the rider or pillion seat the plug & play Throttle Positional Sensor connectors are pugged in. Then it's off to the Dyno to check the default `blip' settings and make any necessary adjustments. Due to the technical nature of this product the Blip Assist must be installed by a trained and professional technician using a Dyno facility. Note: This product requires either the latest Translogic PSR Powershifter or current 'IS Series' DCS Quickshifter system to operate. !electronics, 2006, 2007, 2008, 2009, 2010, 2011, 2012, 2013, 2014, 2015, 2016, 06, 07, 08, 09, 10, 11, 12, 13, 14, 15, 16, yzfr6, r6!